It’s at this time of year that UK terrorism statistics are published by the government and reported in the media. Readers with longish memories may remember how, three years ago, TCW examined the BBC’s skewed interpretation and misleading graphics. For the sake of fairness and variety, the Guardian’s approach to the numbers is our text for today. 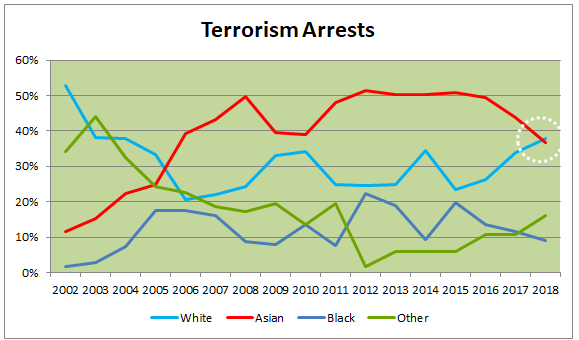 Last week the Guardian published a story under the headline ‘White people make up largest proportion of British terror arrests’ which was accompanied by a graphic based on one of a great range of official statistics available here, and which provide all the source material for the charts in this article. showing the red line for the ‘Asian’ category converging with the blue ‘White’ category. There are two immediate problems: first, the four available categories are ill-defined and open to every kind of subjective interpretation and, second, police officers responsible for making and recording the arrests are not qualified (nor should they be) to make accurate and consistent assessments of race or ethnicity across these categories. For the Guardian, the story pretty much ends there, with Islamist terrorism continuing as the greatest threat to national security but with ‘the rise of far-right extremism and terrorism’ becoming a significant concern to authorities. The paper links to an earlier story from February this year when it reported that the outgoing head of counter-terrorism policing, Mark Rowley, drew parallels between ISIS and Anjem Choudary on the one hand and National Action and Tommy Robinson on the other. Before going on to look at some of the other interesting figures in the official government release, it is important to enter a word of caution and note that in every case the numbers of individuals are relatively small with the arrests in 2018 amounting to 133 White, 129 Asian, 32 Black and 57 Other. While it is interesting to look at the relative proportions of these groups, relatively modest changes can make the graphs zig-zag dramatically. Convictions for terrorist offences are rather more revealing than arrests since individuals will have passed through the court system and been found guilty rather than simply being apprehended by the police. Indeed, in the period 2002 to 2018, the proportion of arrests that led to convictions peaks at 30 per cent for Whites and 34 per cent for Asians. 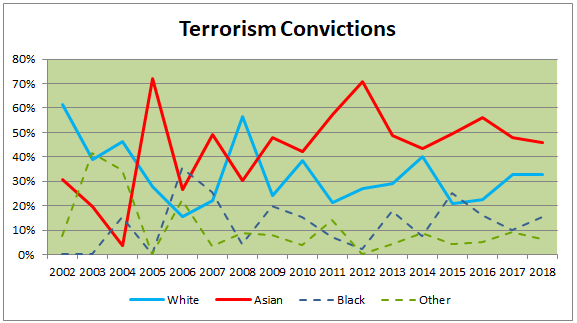 When it comes to suspects being convicted, the proportions of the different groups now show a different picture with the proportion of White consistently lower than Asian in recent years. The thrust of the Guardian headline massages the message by being selective in its active choice of less significant data. 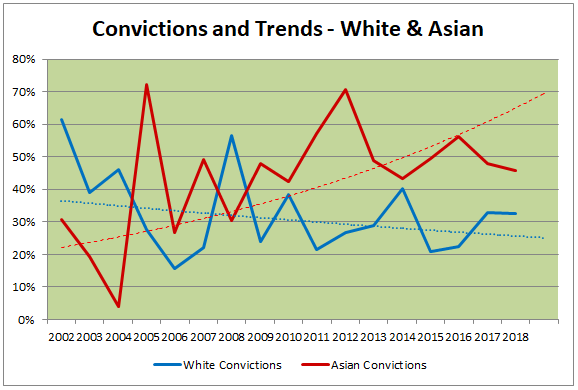 What is more, if one applies trend lines to the White and Asian conviction rates not only does White generate fewer convictions this year than the Asian group, it suggests that the two groups are tending to diverge as in the graphic below where the dotted trend lines suggest a possible future position based on current data. 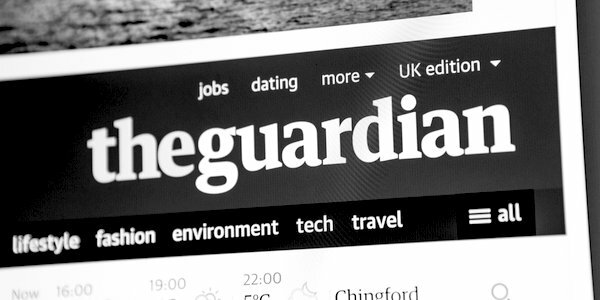 The Guardian could have explored the nationalities covered by the statistics. 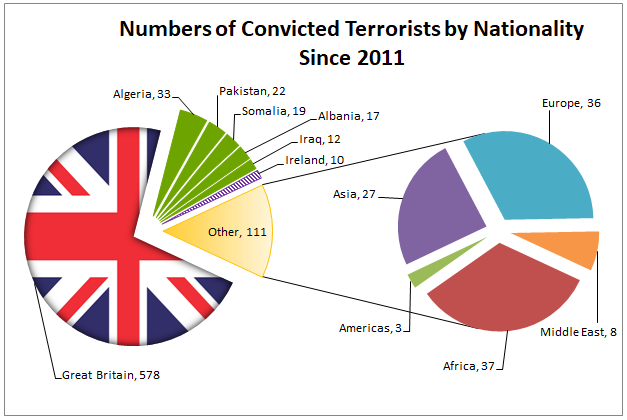 Unsurprisingly, of those convicted of a ‘terrorism-related activity’ since 2011, almost 75 per cent are British nationals but of the remainder, Algeria, Pakistan, Somalia, Albania and Iraq top the list of countries of origin. A fresh graphic illustrates the distribution. Nothing in the nationality statistics does more than hint at how the individuals divide up as between the clumsy racial Asian/White/Black/Other characteristics. Britain is itself diverse and multi-racial and one does not have to look too hard to find a common link between the next five countries. 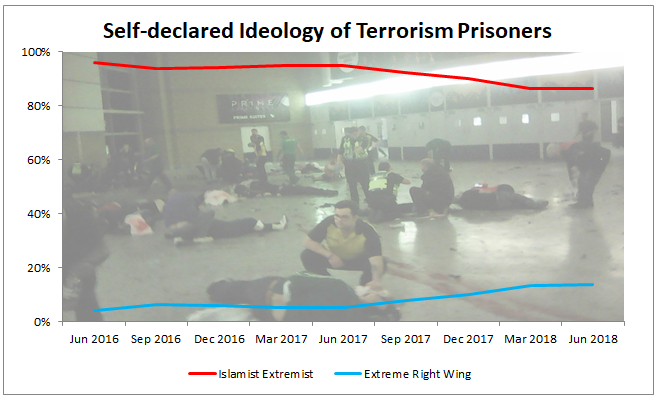 Taking a cue from Mark Rowley’s comments last February about the increase in ‘far-right extremism’, the statistics on the self-declared ideology of terrorism prisoners are worth a look. The data which previously listed prisoners’ religion now lists according to ideology which is restricted to three fields: ‘Islamic Extremist’, ‘Extreme Right Wing’ and ‘Other’ and serves to reinforce a mindset revealed by Mark Rowley that there is some kind of equivalence between a powerful, ruthless international network of Islamist evil and largely isolated individual home-grown nutters. There can be few people reading this who believe that the crimes committed by the one group broadly match those of the other in terms of their current impact and threat to future security. Be that as it may, there is one final graphic which the Guardian might have put before its readers but didn’t and which illustrates the extent or lack of the equivalence between the two threats, an equivalence which was reasserted in yesterday’s Times by a hopeless and hateful charity claiming that “far right extremists can be as dangerous as their flipside in Islamist movements”. Some flipside.